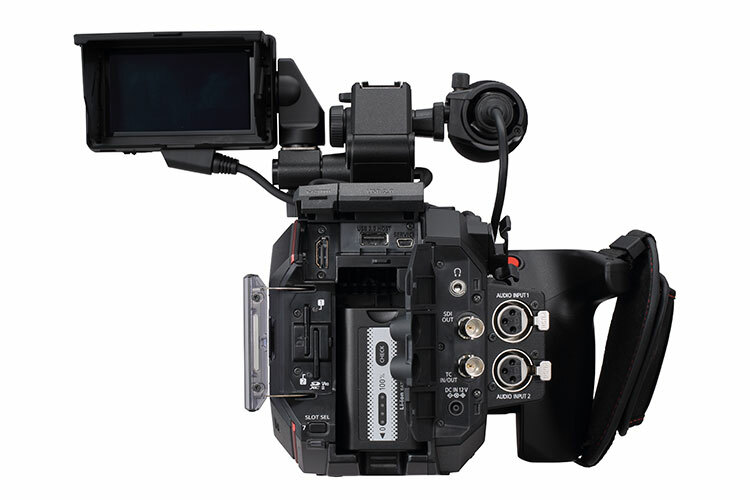 Panasonic’s EVA1 is a 5.7K Super 35mm-sized sensor camera with an EF lens mount. 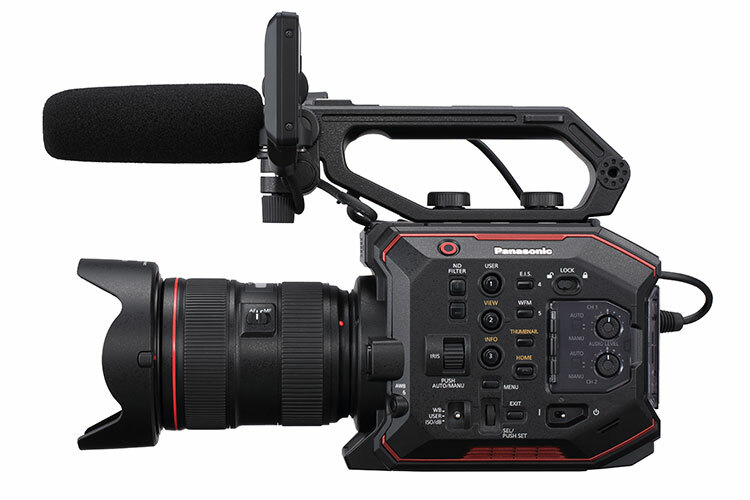 Built to be compact (with removable hand grip and numerous mounting points) and lightweight (weighing only 2.6 lbs), the EVA1 records 4K 60p and features 14 stops of dynamic range. Super 35mm 5.7K Sensor. The Sensor on the AU-EVA1 is Super 35 sized at 24.60mm x 12.97mm. That gives it a 5.7K resolution with more than 17.25 million photosites. Though 5.7K isn’t a standard resolution, the EVA1 produces a better image with increased color information when down-sampling to 4K, UHD, 2K, or 720p. Dual Native ISO 800/2500. 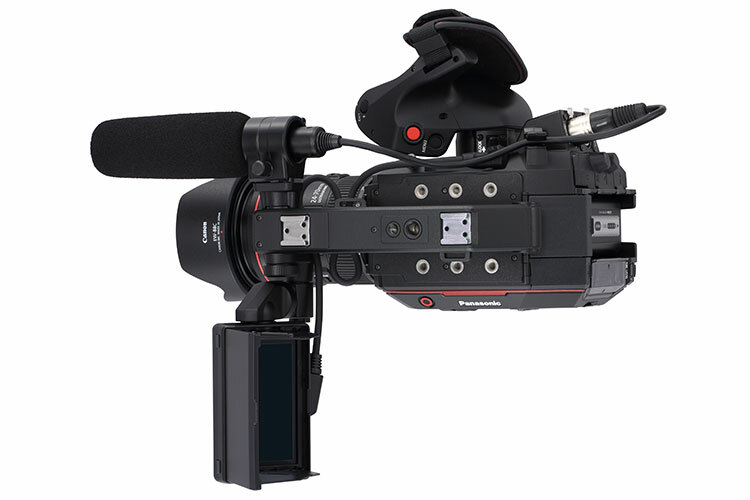 Like Panasonic’s other VariCam cameras, the EVA1 uses a Dual Native ISO of 800 and 2,500. This process allows the sensor to be read in such a way that extracts more information and allows the camera to switch to a high sensitivity from a standard one with almost no increase in noise or other artifacts. One benefit that this feature has for productions is it allows them to use less light on set. EF Lens Mount. 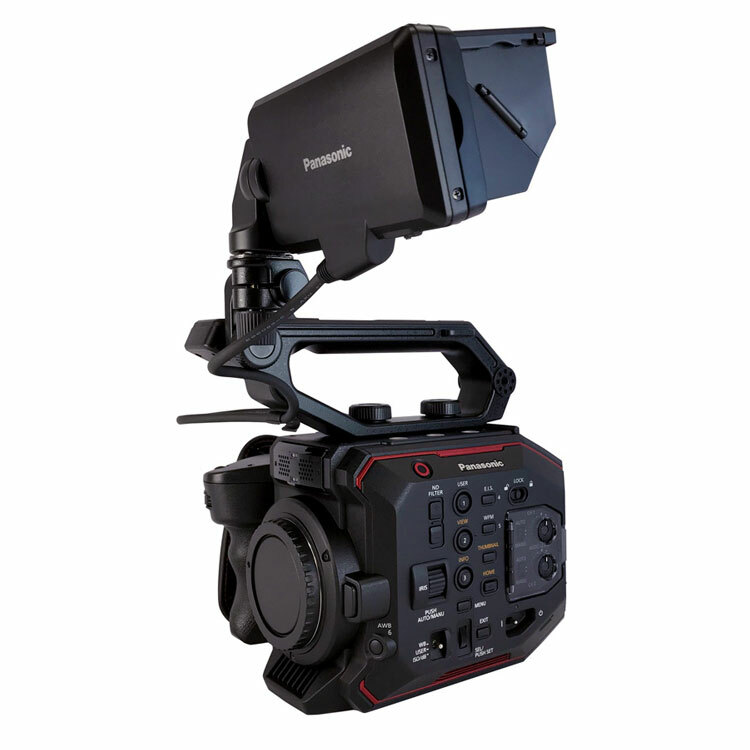 The Panasonic EVA1 sports a native EF-mount giving it access to an abundant library of existing lenses — including cinema-style prime and zoom lenses that really show off the camera’s Super 35mm sensor. It has full iris control, one-push auto-focus, and lens data. Records to SD Cards. This camera comes with two SD card slots that allow you to record either simultaneously or in relay. It can record in several formats including 4K in 10-bit 4:2:2. EVA1 Inputs / Outputs. The EVA1 offers dual balanced XLR audio inputs with Dolby Audio encoding. 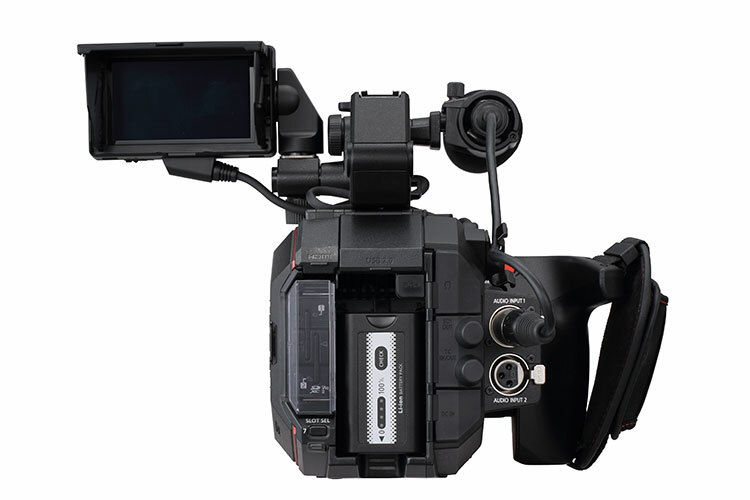 The HDMI and SDI video outputs are both 4K-capable and each can be adjusted separately. Bundled Battery & Dual Charger Bundled with the EVA1 is the AG-VBR59 battery (7.28V 5900mAh/43Wh), which should give you approximately 1 hour 30 min of continuous operating time and a charge time (with bundled dual battery charger) of approximately 3 hour 20 min. With the optional AG-VBR118 (7.28V 11800mAh/86Wh) battery, you will have approximately 3 hour 5 min of continuous operating time and a charge time of approximately 4 hour 40 min.